UnoLock is an ISO/DIS 17712 & CTPAT compliant (Unolock 3.0), high security bolt seal with print and numbers encapsulated in a clear polycarbonate plastic cover. 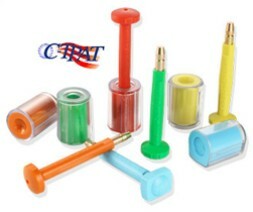 The barrel and pin coating is made of ABS, a durable plastic. ABS pin coating and inner barrel. Clear polycarbonate outer barrel cover. 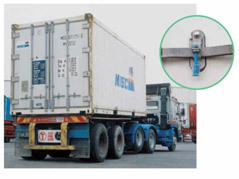 High tamper visibility - reduced losses. To counter tampering with drill spinning. Laser - stock items preprinted with logo/text & sequential numbering. Custom printing available with option of matching serial number on barrel and pin. Standard colours - Red, Yellow, Blue, Green, Orange, White.